This might be something to be on the lookout for in Columbus as WSYX has introduced an updated logo with their Job Boot Camp ads and putting two plus two together with it being up by February sweeps coming up so it might be coming very soon in C-Bus. 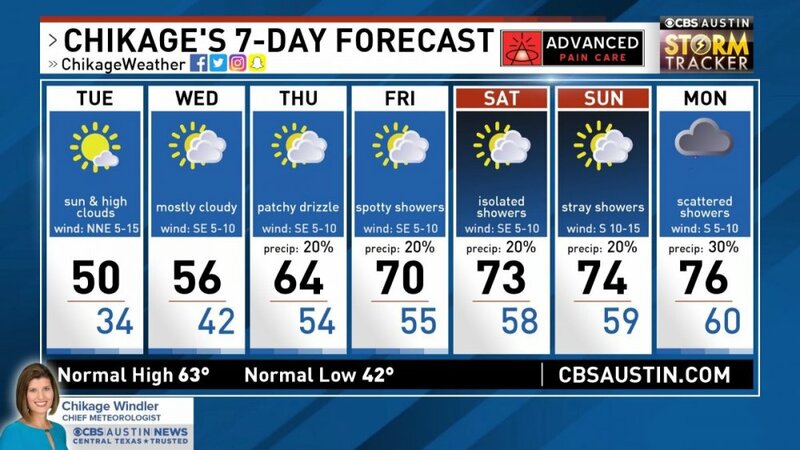 CBS Austin (KEYE) debuted the new graphics tonight. That graphic is so busy. Too much is going on there. Reduce the text size by about 15-20%, and it'll look a lot cleaner, and a lot less crowded. If took away a few elements (normal high/low, Chicage's photo, possibly the sponsor), it would look much better. 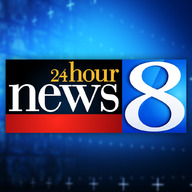 I don't have any photographic or video evidence, but WSYX/WTTE in Columbus, Ohio debuted new graphics tonight at 5PM. I know it's "hip" to hate on everything Sinclair, but the graphics are nice, especially the transitions. I did not see any opens to see what they look like (i.e. how "customized" they are for Columbus). 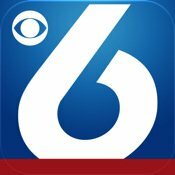 I have seen them and they are really good looking graphics for WSYX... Might be the best they ever had as a station ever in their history! Different graphics during a different era in time during the station history. Not so much, for most of WSYX's history, they have been the red-headed stepchild of the stations it was only about recently I would say honestly the beginning of the "News Center" era WSYX started punching with WBNS and WCMH on a consistent basis outside of the late 80's with the turn being WCMH getting bought by MG and WSYX and WTTE getting a real investment by Sinclair around that time as well. Yes, WSYX has languished in 3rd place, but when it moved #2 many times during the 70s & 80s and recently a few years ago. If you go back and look at many newscasts in many markets the graphics package and sets were not so stellar. Looking at WLS in Chicago in the late 80s & 90s had a horrible set and package, but were #1. In the mid-90s WSYX graphics were solid 90s graphics not flashy or over the top. Yes, the whole set, graphics, music is all apart of the package of the newscast. However, your newscast is the selling point. Yes, WSYX has evolved, but I wouldn't say it the best in their history. It Sinclair cookie cutter image, so it nice but wouldn't say it all that. I'm sure they may come up with a new package in two years that could even be more greater than today. WSYX and WBFF have always been the golden boys for Sinclair. 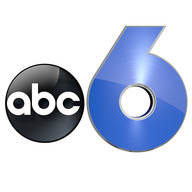 WSYX has been in the fold since 1996 when their original Columbus station (WTTE) was shelled into Glencairn and by way of their purchase of River City. Being a "Big 3" station in Sinclair's fold for so long (especially in a market like Columbus) means there has been much attention focused on it. It may be in 3rd place, but it has been a cash cow ever since. There is a very opaque American flag underneath the bug, none at all in the supers that I've seen. It's nice there no doubt about that and viewers said they liked it except the music ding during every story a graphics changes. Some said it was too computer-ish, others thought it was annoying. I will say I like the "6" logo blue over white. The flag is in the background, and down in Cincy since they're a runnaway#1 Sinclair not going to mess with them. KOMO has them now. Bug has a tacky black extension for the KOMOnews.com URL below it, and "WeatherWarn Team" does not have the same ring "Forecast Team" had, but otherwise still better than the previous ones. Add WPEC to the list. Still waiting for WHP CBS21 to get these graphics. That will probably happen in year 2030. I hear you there been waiting on KTUL here in Tulsa, Oklahoma to get this new graphics package as well. That’s a very nice ticker. Wish WBFF got that one. Their current two line one looks very awkward especially when the second line is empty and has odd animations.